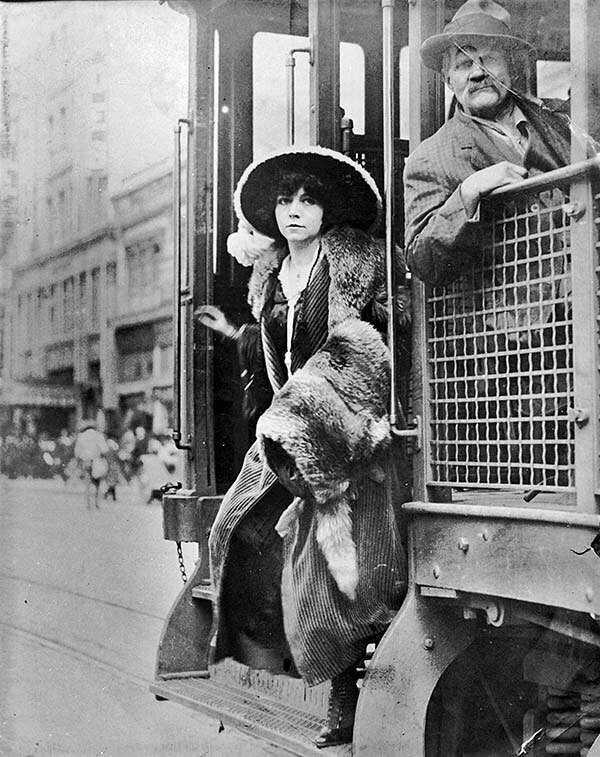 Woman Boarding a Streetcar, c. 1913. LOC. 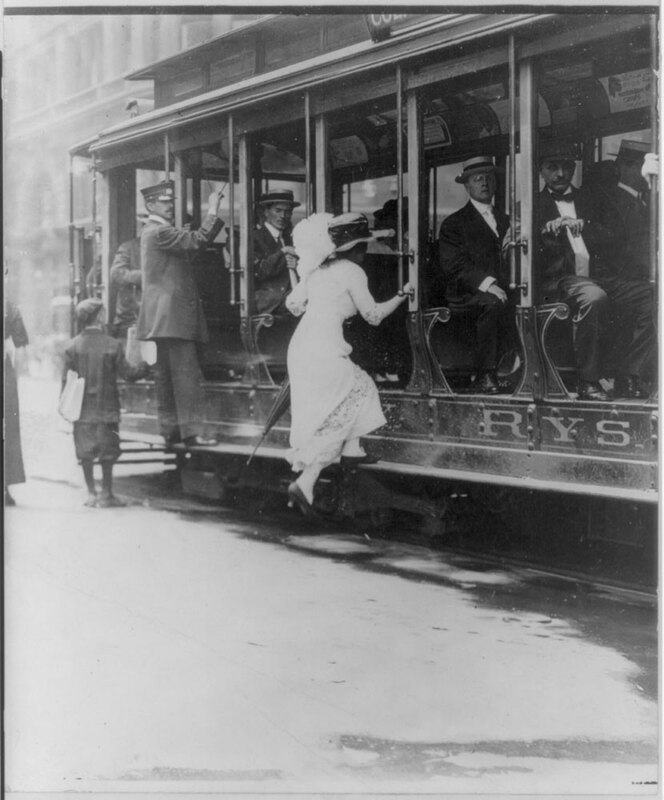 Fashionable Woman Getting off Trolley, 1912. Los Angeles Times Files. Newspapers, more than any other mass-medium, told the stories defining urban-industrial life. The number of daily papers in the United States grew four fold from 1870-1900; newsstands [Newspapers] feasted on scandals, atrocious crime, and disaster, but also sold back to millions of city dwellers everyday fragments of the lives they lived. or newsboys sold headlines on almost every downtown block. On newly built commuter lines, passengers read papers on trips to and from suburbs like Collinwood. When tragedies such as the school fire struck, the dailies rushed extra editions onto the street. In profiles of celebrities and reports on crime, corruption, disaster, and every day street life, turn-of-the-century papers published up-to-the- minute catalogs of increasingly fragmented urban life for immigrants, businessmen, sales clerks, housewives, policemen, shoppers, tourists, and laborers. 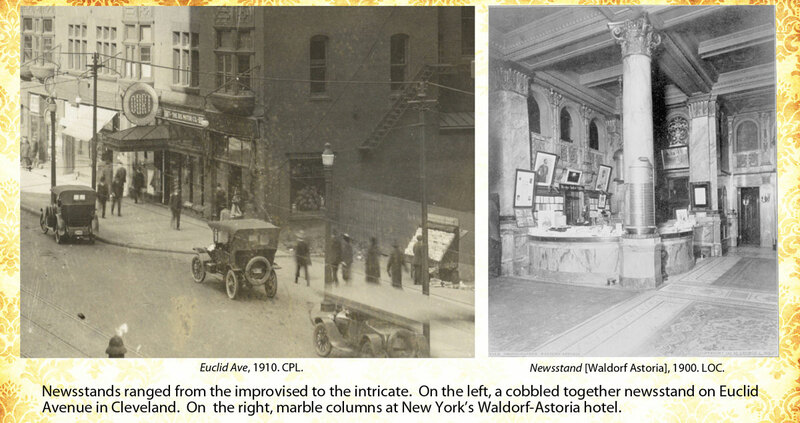 Often the dailies bundled incongruous images onto the same page. If they covered disaster, they also sought out more light-hearted visuals. The Bain News Service, for example, combed New York City streets, looking to shoot stock photographs for newspapers and illustrated magazines. One Bain photographer stationed himself near Columbus Circle in New York to shoot young women revealing calves and ankles as they bent forward to board streetcars. Across the country, a Los Angeles Times photographer took a similar shot of a fashionable woman descending. All three of the photos above froze familiar moments of longing, leering, and being looked at, turning fleeting experience into a durable and profitable product. 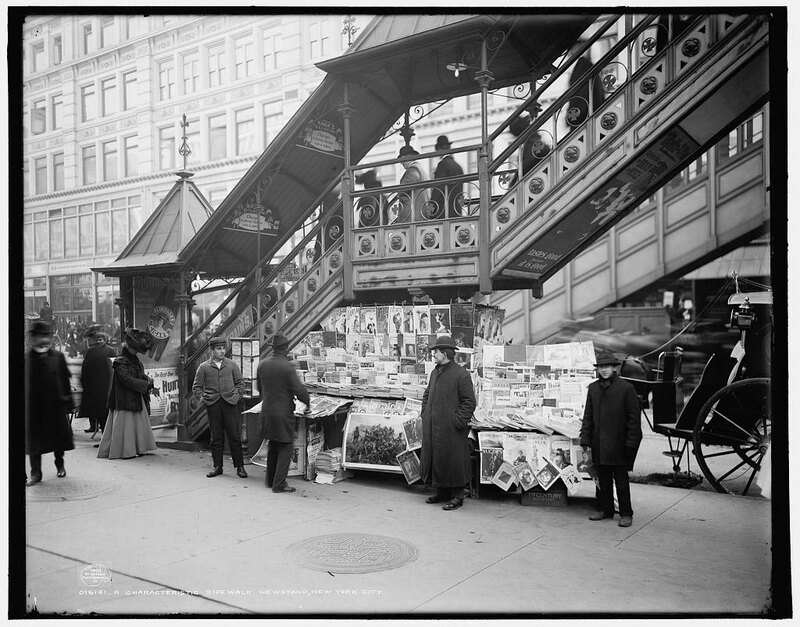 In fact, even as photographers Characteristic Sidewalk Newstand (sic), NYC, 1903. LOC. captured these stylish women in exposed positions, they also shot the act of selling such images to enthusiastic consumers. 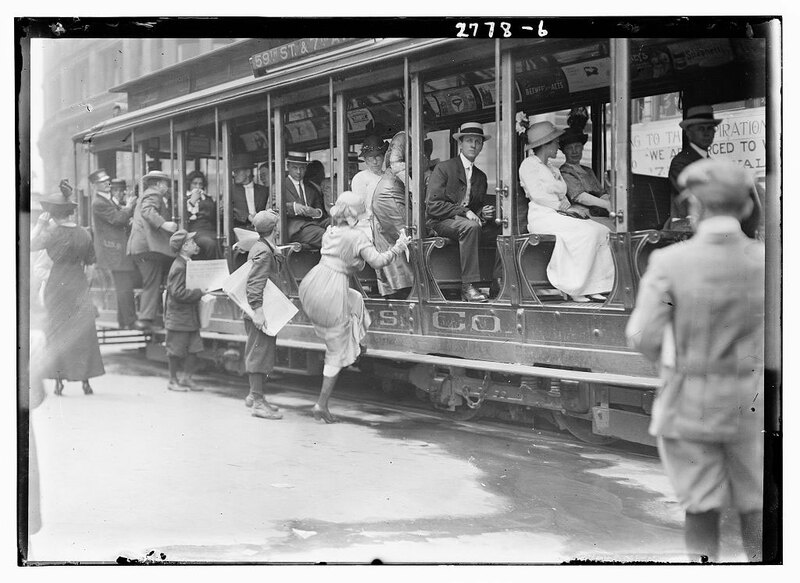 Young newsboys, often under the age of fifteen, routinely swarmed busy commuter locations to peddle their papers, and two of the photographs show them pushing the news to potential buyers on briefly stopped streetcars. The papers told stories of sensational fires such as the tragedy in Collinwood, but they also sold back to millions of city dwellers the everyday spectacles of the lives they lived.